Designed as an all-in-one wedding venue, with a romantic chapel, elegant ballroom, luxurious bridal suite, 4-star accommodation and picturesque forest gardens, The Plantation captures the spirit of love, happiness and celebration of a perfect wedding day. 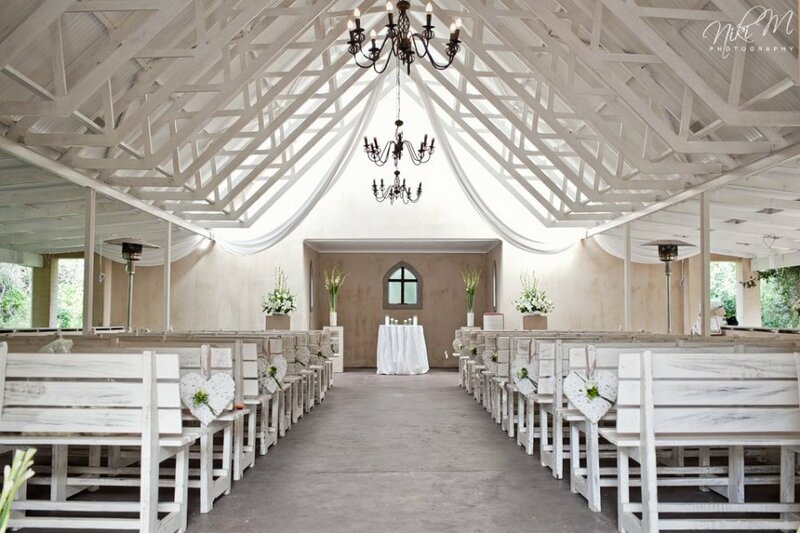 Our magical forest, beautiful facilities, impeccable service and superb cuisine make The Plantation one of the top wedding venues in South Africa, the Eastern Cape and Port Elizabeth. The Plantation is renowned for its fine food, and our team of chefs can tailor a menu according to your requirements and budget. Our food philosophy is to provide large portions, beautifully presented and served quickly ensuring that all guests enjoy dining together.